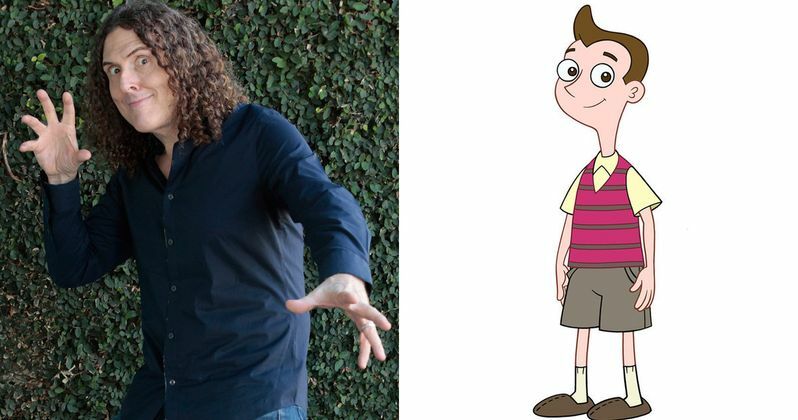 Comedy icon 'Weird Al' Yankovic, who is best known for his song parodies, is breaking into the world of voice acting. The musician is taking the lead role in Disney XD's new animated comedy series Milo Murphy's Law. The show is set to debut this fall. Milo Murphy's Law actually has quite the stellar voice cast lined up. Other actors who will be working alongside 'Weird Al' Yankovic include Christian Slater, Vanessa Williams, Sarah Chalke and Jemaine Clement. They will also be joined by Sabrina Carpenter, Mekai Curtis, Chrissie Fit and Vincent Martella. Milo Murphy's Law arrives from the creators of hit Disney animated sitcom Phineas and Ferb. Dan Povenmire and Jeff "Swampy" Marsh will executive produce this comedy that introduces Milo, the fictional great-great-great-great grandson of the Murphy's Law namesake and the personification of Murphy's Law. And as the saying goes, on this show, what can go wrong will go wrong. Milo is suffering from EHML, which stands for Extreme Hereditary Murphy's Law condition. He always attempts to make the best of a bad situation. His endless optimism and enthusiasm helps turn his everyday catastrophes into extremely wild adventures. Exciting news for fans, 'Weird Al' Yankovic is also signing the opening theme song. And throughout the show, he will perform original songs as his character Milo Murphy. Sabrina Carpenter and Mekai Curtis are playing Milo's two best friends Melissa Chase and Zack Underwood. Dan Povenmire and Jeff "Swampy" Marsh will get in on the fun by playing the characters of pistachio protectors Vinnie Dakota and Balthazar Cavendish. Christian Slater is playing a school crossing guard and Milo's foe Elliot Decker. Vanessa Williams stars as Milo's mom. And Jemaine Clement is the popular television show character Dr. Zone. There is no word on whether or not the Flight of the Conchords folk musician will also be lending his vocal talents, but a duet between 'Weird Al' Yankovic and Jemaine Clement doesn't sound like it's out of the realm of possibilities. Mackenzie Phillips will voice Principal Milder, with Chrissie Fit playing classmate Amanda Lopez. Diedrich Bader and Pamela Adlon will star as Milo's dad and mom. Kate Micucci will voice Milo's sister Sara Murphy. And Dee Bradley Baker is Milo's dog Diogee. Milo Murphy's Law is being produced by Disney Television Animation.